Beginning on October 10 and running till October 17, the Inverted Spire Nightfall Strike will be one of the premier events of Destiny 2, stepping up the difficulty of the normal Strikes through a number of difficulty modifiers. We'll be breaking down everything you can expect from the weekly Nightfall Strike in this guide, as well as the best ways to complete the Strike within the time limit. 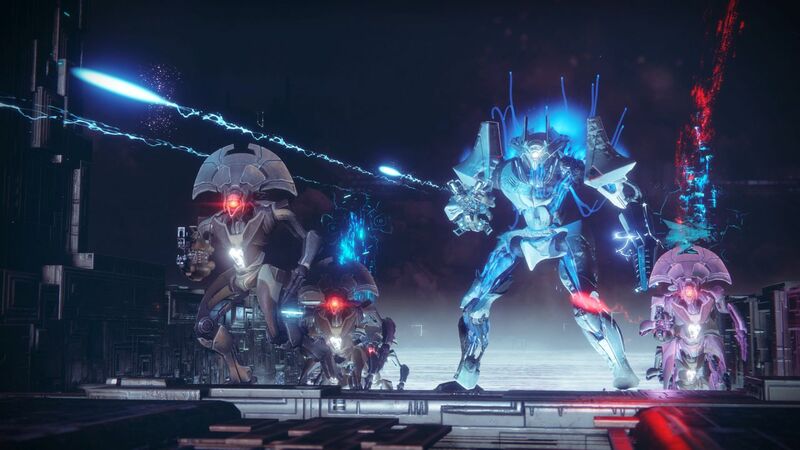 For all things Destiny 2-related here at USgamer, head over to our Destiny 2 guides walkthrough hub, where you can be sure to find walkthrough guides for every other Strike in the game, as well as comprehensive breakdown of everything we know about Destiny 2's first Raid, called the Leviathan Raid. This Inverted Spire Nightfall Strike is significantly more difficult than the previous Arms Dealer Nightfall Strike, slapping on difficulty modifiers that completely change the way you approach the Strike. There's the Attrition and the Timewarp: Killing Time modifiers, both of which we'll be breaking down just below. A shot of the Inverted Spire Nightfall Strike. At the very start of the Nightfall Strike, you're given an 11 minute timer which continually counts down. Once the timer reaches zero, you'll immediately fail the mission, and the only way you can extend the timer is by killing literally any enemy you see, each of which will extend the mission timer by a certain amount. This is the only way you can extend the timer, and so we'd recommend taking the time to not rush through the Inverted Spire Nightfall Strike, but instead properly take the time to comb through each area, making sure you seek out the weaker enemies to extend the mission timer more easily. 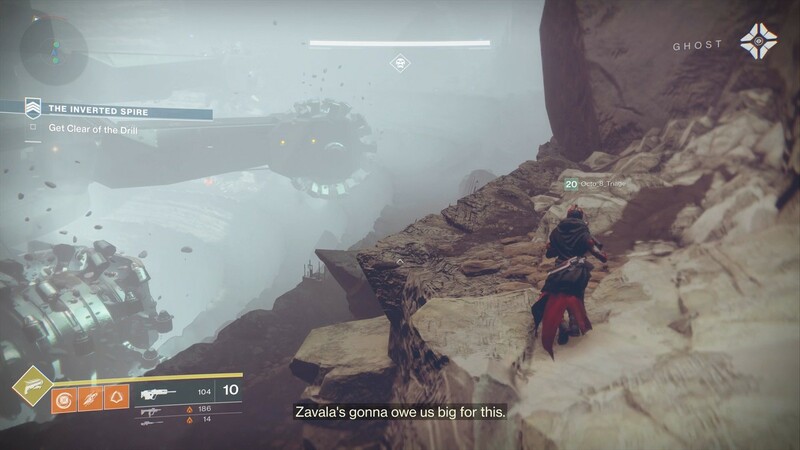 The dig site area in the Inverted Spire Nightfall Strike is particularly difficult. The Attrition mod for the Inverted Spire Nightfall Strike means that the health of every Guardian on your Fireteam is significantly impaired. However, it should be noted that you can easily gain back your health and shield, with a simple trick. Ocassionally, you'll see enemies drop small orbs of light on the ground after being defeated, and if you pick up this orb by simply running through it, it'll completely regenerate your health and shield then and there. 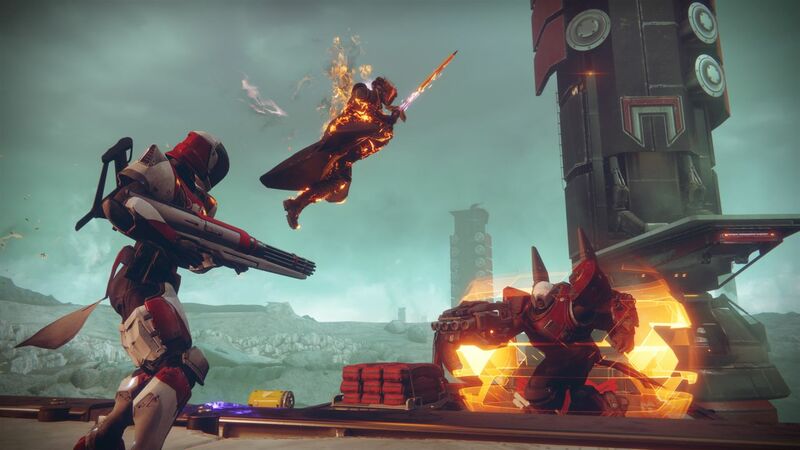 As such, you need to focus on defeating everu enemy you encounter in the Inverted Spire Nightfall Strike, not only because of the Killing Time mod, but also because there's a chance that they could drop an orb of light that can instantly heal you. As with every other enemy that you'll come across in the Inverted Spire Nightfall Strike, the Protheon, Modular Mind boss is significantly more difficult than in the base version of the Strike. This is an area in which you'll really need to pay attention to the Prism modifier, in order to utilise the best weapons against the boss as quickly as possible. Protheon, Modular Mind, the boss of the Inverted Spire Nightfall Strike. In the first stage of the boss fight, we'd recommend having two of your Fireteam focus on the boss entirely, leaving one other player free to deal with the upgraded Harpies that spawn into the arena. This is mainly because although the Harpies will disappear once you deal enough damage to Modular Mind, they can chip away at the health of your Fireteam, meaning you definitely don't want to leave them unguarded. The second stage of the Modular Mind fight functions largely just like the first stage - the boss will disappear and take the minions with him if you deal enough damage, but you will have to take out some of the minions as they can take down your Fireteam given enough time and free roam. Finally, you'll have to slog it out in the last arena of the boss fight, where Protheon, Modular Mind can summon in hordes of Goblins and Harpies to aid it. In this final phase you'll be forced to deal with the minions as soon as they arrive, and we'd recommend two players deal with them, while the final Fireteam players draws the attention of Modular Mind. It's certainly a tough fight, and you'll need to make sure you've left yourself enough time in which to complete it.